Gamers have had a glut of interesting cooperative shooters to play in the last few years, with standouts like Destiny, Ghost Recon Wildlands, and The Division keeping squads together through various universes. 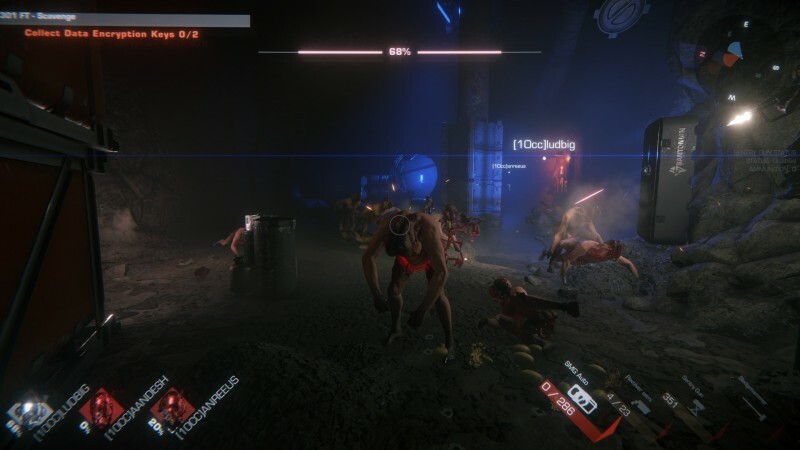 But one curious absence in the current cooperative landscape is a survival-horror experience that riffs on the tension and teamplay sensibilities of the cult favorite Left 4 Dead franchise. 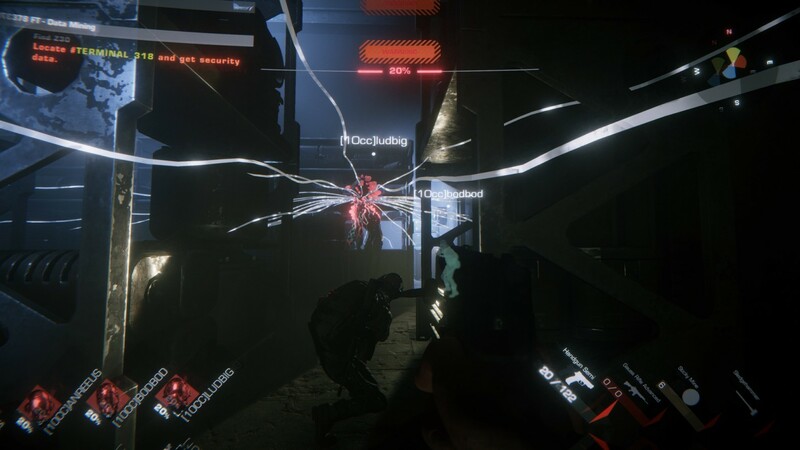 A small team of former Payday developers at 10 Chambers Collective hopes to tap into that neglected theme with GTFO. 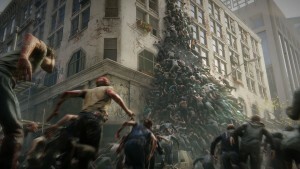 This universe isn't another me-too zombie game sending waves of brain-eaters at your squad. 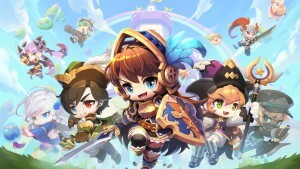 Instead, players assume the role of prisoners sent into the depths of a mysterious underground complex against their will to retrieve curious items of interest for their warden. Finding the objects is easy enough; making it out alive is the tricky part, as the halls are roamed by deadly monstrosities that look like grotesque evolutions of The Last of Us' clickers. Before dropping into the darkened halls for a hands-on session I had a chance to check out the arsenal available to players. 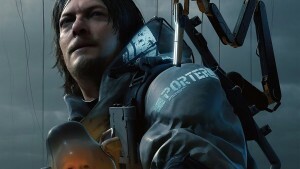 Each prisoner can carry two guns, a melee weapon, and a special tool like a motion sensor, area scanner that can tag enemies behind walls, sentry turret, and a glue gun that can be used to slow the advancing horde of creatures. Picking the right combination of tools can be key to making it back alive. When we drop into the complex, its halls are eerily quiet. A squad member scans each door before we open it expecting to find a pack of enemies waiting for us, but four doors in we haven't seen a thing. The tension hanging heavily in the air continues to build with each empty chamber, but eventually the scanner lights up with activity. We move carefully so not to disturb the enemies, and they stand quietly, waiting to spring into action at the command of the scout. These creatures extend visible tendrils into the atmosphere hoping to pick up movement. Once they sense someone is there they let out a shrill cry to spring the other enemies into action. Moving around these tendrils can be dangerous, but we arm our melee weapons and successfully take this small forward group out stealthily to avoid a bigger firefight. Moving further into the complex, we come across a command console near a locked door. These computers look like they are running DOS, and players can even type commands into the prompt. Since we need the key to the door, we query its location into the console and it gives us a new objective marker to pursue. 10 Chambers doesn't want to hold players' hands in these circumstances, and instead wants the teams to problem-solve solutions. 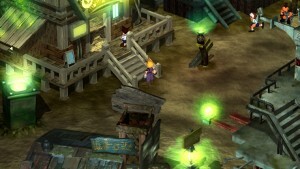 Players also have to work together to figure out how to open locked supply crates. Going further into the complex, things finally get hairy. Once alerted, the enemies come fast and furiously, forcing players to stay in constant communication and never stray too far from one other. Friendly fire compounds the issue, as a few wayward bullets can do the creature's job for them. These frantic battles create great circumstances for heroic moments, like the last person standing trying frantically to survive the wave so they can revive their fallen comrades. 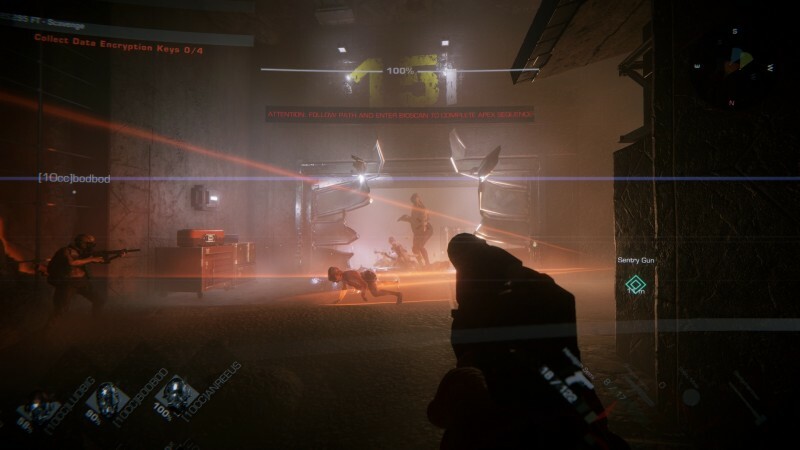 Failing to do so would kick you back to the start of the mission, though longer challenges will feature some checkpoints with the caveat that they only save during the duration of that play session. If you shut down for the day, you'll have to start from scratch next time. 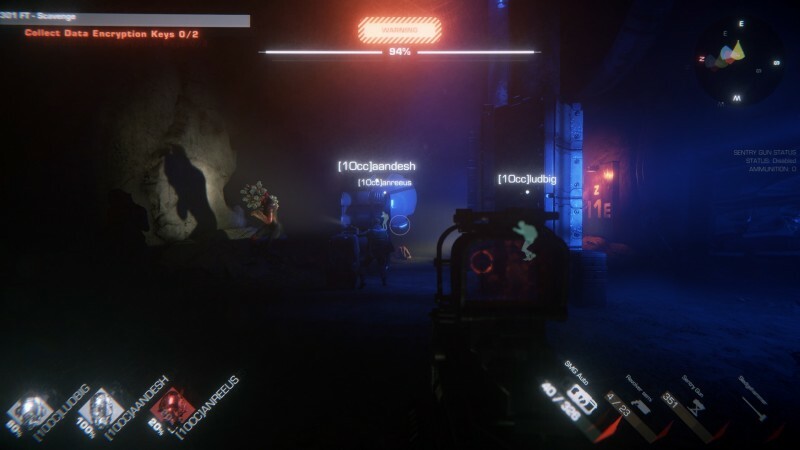 Unlike Payday, which sent unrelenting waves at you the moment you get noticed, GTFO is a much more rhythmic experience, shifting from quiet moments of stealth and resource gathering to the more deadly enemy onslaughts. 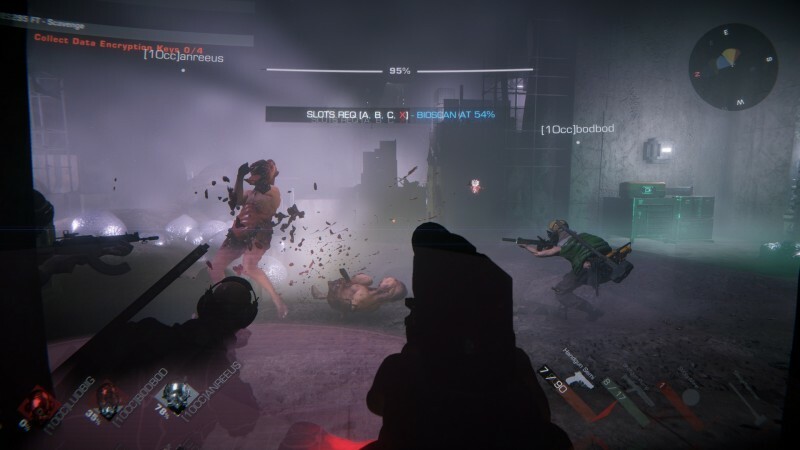 Giving players a breather is a welcome evolution, as supplies can be scarce and making sure everyone has at least a few clips and access to a med kit is crucial before engaging the next encounter. Once we find the keycard, the real firefight begins. We head back to the Apex door that has the object of interest behind its walls, and insert the key. 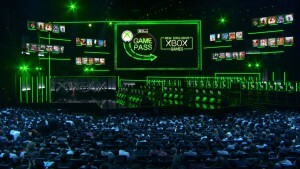 This starts a bioscan, where all four players must stand in a highlighted circle to get the door to unlock. Apex doors make you go through multiple bioscans before opening, during which waves of enemies continue to rush toward your position. Preparing for these battles is crucial; we make sure to cover the floor in front of us with glue to slow their approach and position the sentry so it covers two hallways. Our original plan was sound, but in moving from the second to the third bioscan we forget to move the sentry to a forward position. When the horrors descend on our position, the sentry picks up the movement and starts firing. This proves to be a problem considering we are standing in between the monsters and the turret. Friendly fire – 1, squad – 0. Thus ends our run in the underground; another team of prisoners will have to complete the job. GTFO pulls no punches. 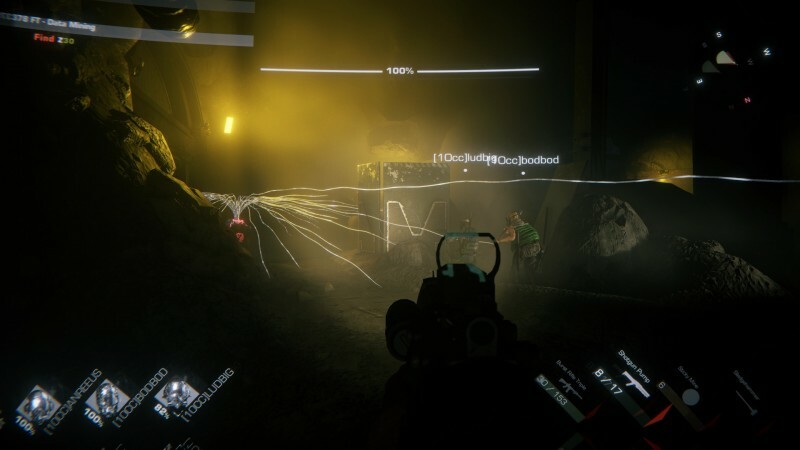 The missions can be unapologetically hard, demanding constant communication between squad mates if you want to make it to the extraction point. 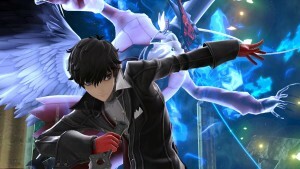 The missions are tiered so players must complete three jobs before they get to one that provides a loot drop. 10 Chamber Collective founder Ulf Andersson says they want to slow the reward drip so each time you get an item it feels more meaningful. 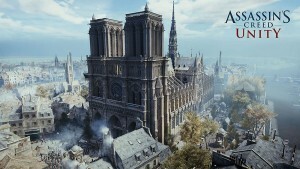 Some missions could take upwards of six hours to complete, but the studio also plans to offer more breezy "lunch" missions as well. 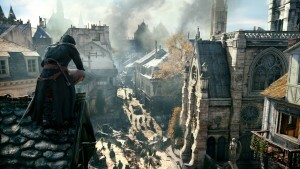 The gameplay felt tight, and the studio is aiming for 4K resolution at 60 frames per second. 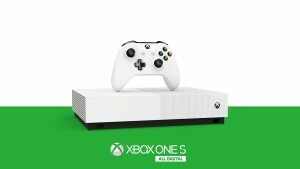 Given those parameters, you may be surprised to learn it's running on the Unity engine, a popular mobile platform that is making strides into the PC and console platforms. 10 Chambers Collective hopes to have a beta out on PC by the end of the year, but won't release it until they feel it's ready. I only experienced a brief slice of gameplay, but the emphasis on teamwork and suffocating tension make this one worth watching.